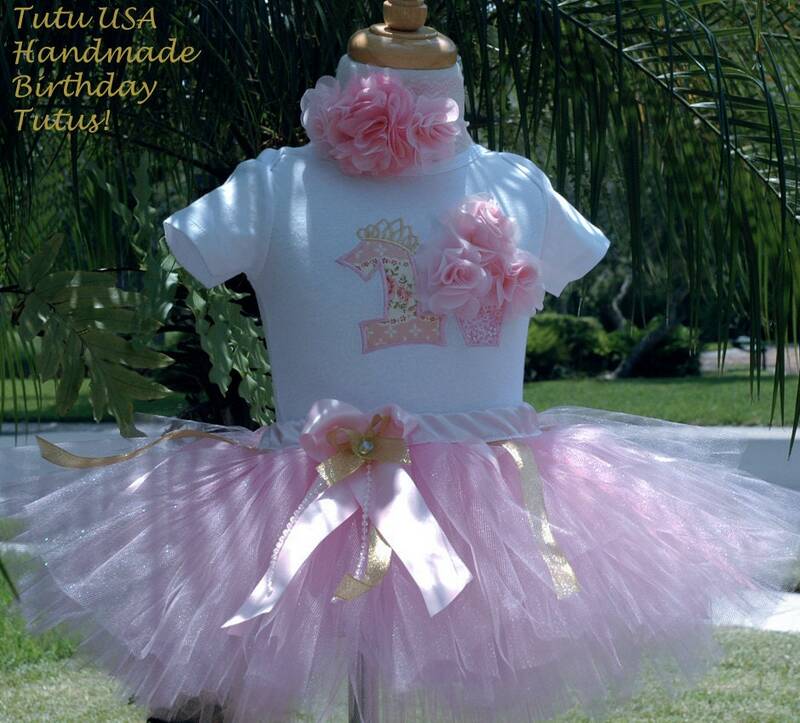 Shabby Chic Floral Baby Girl 1st Birthday Tutu Outfit. Available for all ages and sizes. Fast shipping. Personalized with your baby's name. Sewn at the waist. Hand cut tulle. 3D Cupcake with flowers. Personalized with your baby girls name. Can be customized to any age.